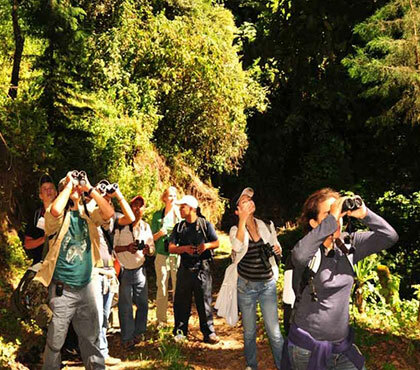 The pure and natural atmosphere makes this tour in Antigua Guatemala an extraordinary experience for bird watchers. 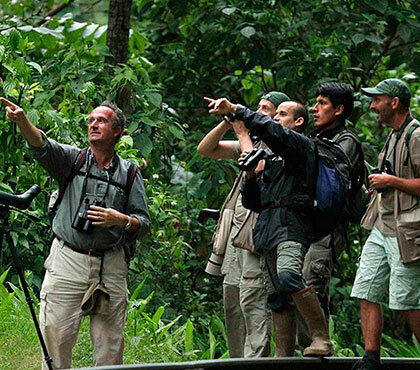 Between the dense vegetation of this natural forest you will a myriad of birds. Wake up early and wait for the shuttle in your hotel in Antigua Guatemala. 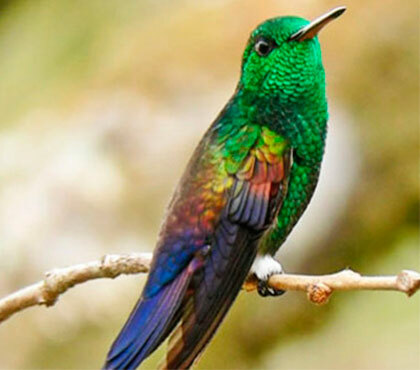 Then you will be at the Coffee Plantation in Antigua Guatemala where you can go walking with the guide and take the Morning Bird Watching Tour in Antigua Guatemala. This is a great experience where you can observe differents species of birds. Pick up time: 5:00am (directly at your hotel). 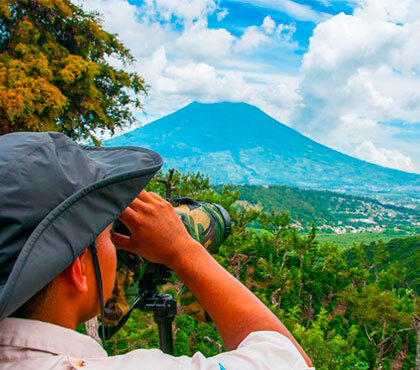 Take the shuttle on the established schedules below then you will be at the Coffee Plantation in Antigua Guatemala where you can go walking with the guide and take the Afternoon Bird Watching Tour in Antigua Guatemala. 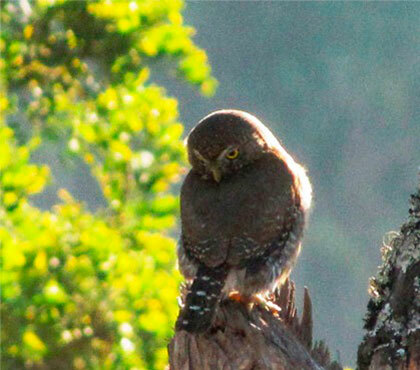 This is a great experience where you can observe different species of birds. Pick up time: 3:00pm (directly at your hotel). Note that the transportation is included in the price when taking the shuttles in the schedules below. These shuttles are available from monday to Friday. You just have to tell us where are you staying at and we will give you the exact best location where the shuttle can pick you up. From Saturdays and Sundays the transportation will pick you at Isabel la Catolica Park in front of the IGSS clinics (6th Avenue north end, Antigua Guatemala). When you reserve your tour don’t forget to send us the place where you are staying at so we can send you the pickup place. We recommend this transportation, but if you don’t need it, we can send you the address with your tour confirmation voucher. 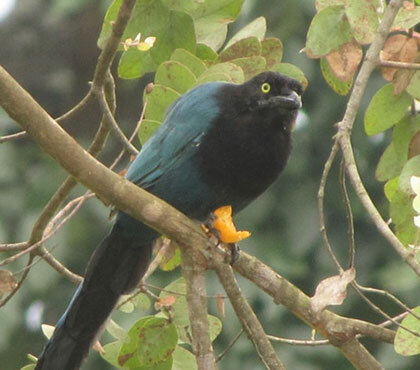 There you can observe Bushy-creasted and Steller´s Jay, Trogons, endemics Warblers, Sparrows, Blue-trhoated Motmot, Red- tailed Hawk, Trushes, Doves, Woodpeckers, Hummingbirds, Swallows, Vultures to name a few. 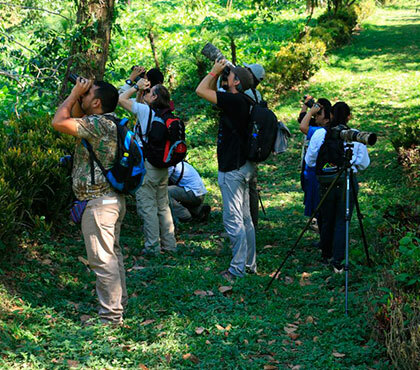 The pure and natural atmosphere make this tour an extraordinary experience for bird watchers, where more than 109 species of birds have been sighted and usually about 45 species while the tour lasts. 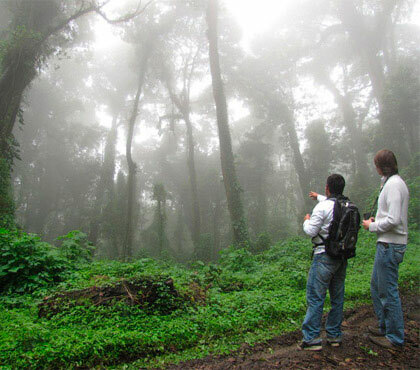 The tour concludes in the lower part of the Humid Tropical Forest.